Update SONAR Core by selecting SONAR Platinum/Professional/Artist, then clicking Install. 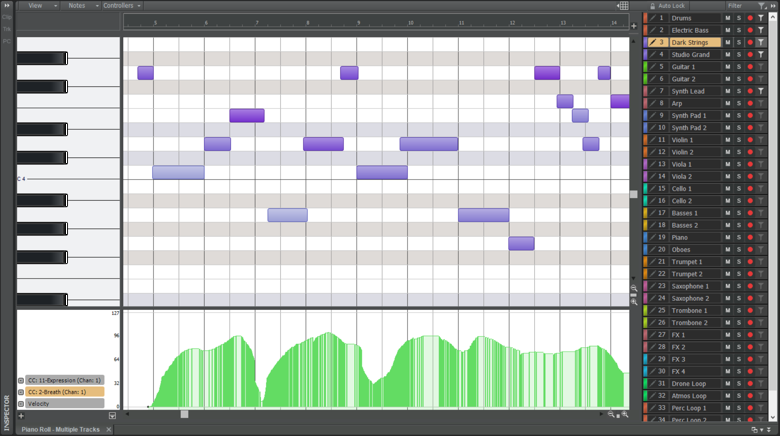 Cakewalk reaches back to its MIDI sequencing roots to optimize SONAR’s core MIDI editing for today’s generation of virtual instruments. The SONAR 2017.03 update addresses modern MIDI music production needs through a redesign of the Piano Roll View (PRV) Track Pane and the Controller Pane. From efficient, simple controller editing to clean and focused MIDI track selection, SONAR has transformed MIDI editing from tedious to transparent. 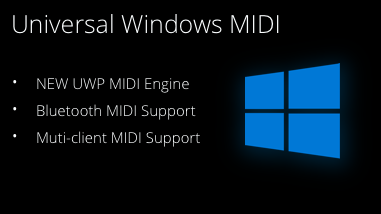 You can now click any MIDI track to bring that data into focus, while Auto Lock prevents you from accidentally editing MIDI data from other tracks. Color-coding relates tracks to data for easy identification in complex projects. The re-designed Track Pane displays twice as many tracks in the same amount of space as before, and now allows you to take advantage of SONAR’s unique Smart Swipe feature that lets you select, mute, solo, or arm multiple tracks with a single, quick gesture. Streamlined Track pane: The redesigned Track Pane now displays in single-height rows with track-color boxes and new controls for filtering, as well as an additional mode to Auto Lock tracks that are selected but not being edited. The Track Pane now also supports collapse and expand via the same controls as other views in the Skylight interface. Auto Lock and Filter Mode are exclusive to SONAR Professional and Platinum. Also, creating custom Filter Sets is exclusive to Platinum only. Improved Controller Editing with Single Lane mode: It is is now possible to have a much larger editing area for controllers while also having access to many controllers on the same track. Switching this mode is done with the View menu by selecting Show Multiple Lanes. Single lane mode is now the new default when opening the Controller pane. Aim Assist support for Controller pane: When Aim Assist is enabled it now extends into the Controller pane for improved feedback when editing the Controller data for a note. New Collapse button for Controller Pane: The Controller Pane now features it’s own collapse and expand button similar to the Bus Pane. This can be opened or closed by simply clicking the button or using the shortcut [Ctrl] + [C] when the Piano Roll view is in focused.